A wooden snowman clock and a snowman bank from Snowy Creations are being displayed at the Burlington Starbucks on Middlesex Turnpike. 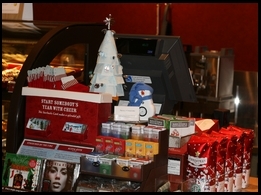 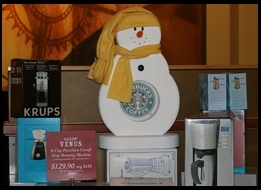 The snowman bank is in the coffee pot display at the front of the store (left picture). The small snowman clock is at the register (right picture). 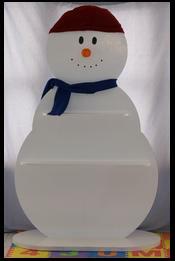 I made this Snowman shelf for an Arts and Crafts display. 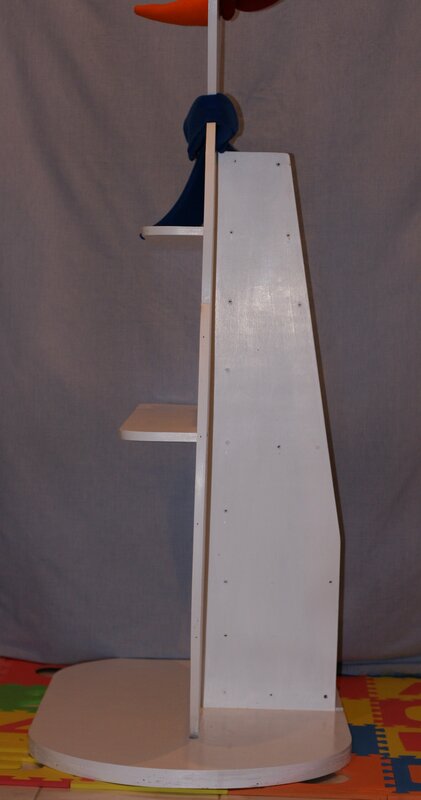 The base and brace are cut from a laminate of two plywood sheets. 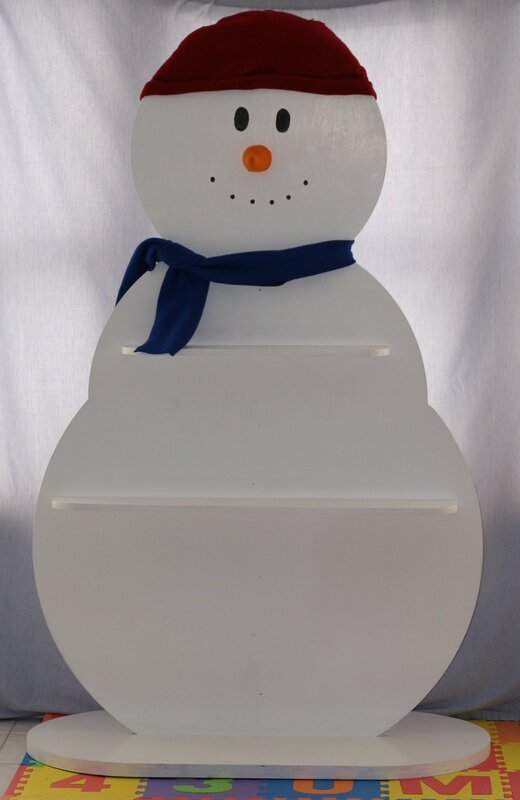 The body was cut using a router mounted to a trammel.